To enhance learning and recall, to boost creativity, to plan effectively and to be a note-taker extraordinaire! Mind mapping is a skill that, once mastered, can be applied to all subjects and can be used to show high order thinking skills, like analysis and synthesis. Mind maps are also a superb way to boost imagination and creativity. One of THE most powerful study tools one can ever learn! Mind mapping is used in academia and in business worldwide. It is, without a doubt, one of the most powerful techniques one can ever learn! Designed by Tony Buzan over 40 years ago, mind mapping quite simply helps students to reach their full mental potential. Mind maps engage all of our cortical skills in a powerful and unique way to: enhance learning and recall, boost creativity, develop advanced note-taking skills, plan, analyse, organise, present and communicate. In short, mind-mapping improves learning, gives clarity of thought and can be applied to every subject. Mind maps are also a superb way to boost imagination and show high order thinking skills. This 90 minute workshop can be held onsite or in a venue of your choice and is ideal for groups of any size. Students will need a desk, paper, a selection of coloured pens/pencils and their imagination! 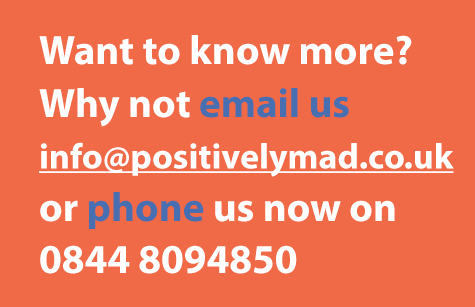 Positively MAD provide all other necessary ingredients: keywording, encapsulation, branching ideas, planning, creating, use of colour and shape, analysis and, ultimately, the creation of powerful mind maps. Combines keywords with visual and spatial aspects for efficient use of the brain. Gives clarity and greater control of thinking processes. Improves planning, organisational and problem solving skills. Builds improved note-taking, communication and presentation skills. Develops creative and analytical thought. We are offering a new presentation showing students how to create and use mind maps to enhance learning and recall encompassing skills such as keywording, encapsulation and analysis. In the basic 90 minute presentation students get to experience the effectiveness of mind mapping as a means to make and take notes. This can easily be extended to include mind-mapping as a creative and planning tool. To help students achieve clarity, to better organise their thoughts and to develop greater control of thinking processes. To demonstrate the effectiveness of combining words and images to both make and take mind mapped notes. To boost understanding and recall. To encourage creativity whilst improving communication and presentation skills. 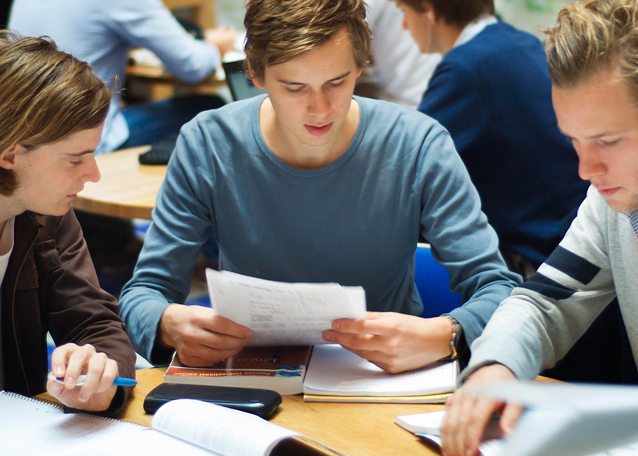 To build excellent planning, problem solving and analytical skills. •	A range of strategies were covered that were appropriate for all students. •	Mind mapping activity was excellent and something that we will be continuing to focus on in school. •	Pace was good – The girls enjoyed the Brain gym activities throughout the day. •	Jay was an excellent presenter. He also had a ‘good measure’ of the girls and held their attention throughout. He worked hard! •	1 Hour workshops may have been enough for some students. •	The Goal Mapping workshop was pitched appropriately for our PP/Low Prior Attaining students and I felt it provided an excellent opportunity to build the girls’ confidence, resilience and self-belief. This is something we can continue with throughout the year. •	This is the second time we have used Positively Mad and I feel the girls really benefit from the workshops.